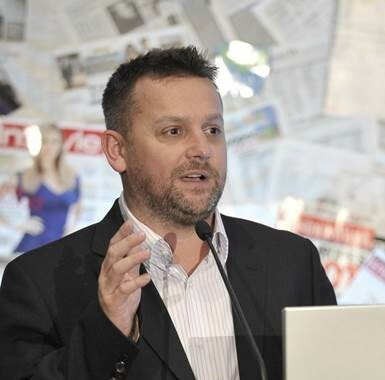 Starcom MediaVest Group has appointed Andy Taylor as national investment director. Taylor has more than 20 years of media agency trading and media sales. Previously working at Aegis in the UK, Taylor also worked for two different media vendors, The Mail on Sunday and Titan Outdoor, gaining a wealth of experience from “the both sides of the fence”. Most recently, in his role at OMD New Zealand, he pioneered and implemented new-to-market trading techniques that delivered great growth and opportunities for the business. Starcom MediaVest Group CEO Chris Nolan said the search for the National Investment Director was extensive. Taylor said the cultural fit and passion for the industry became evident in his discussions with the leadership team. “It was an easy decision. After lengthy discussions with Chris and Annick [Perrin] it was clear that we share the same passion, excitement, energy and values. I am excited by the challenge and look forward to meeting and working with the team,” Taylor said. The appointment comes as SMG Group was last week named one of BRW’s Top 50 Most Innovative Companies for the third year in a row – the only media company to achieve this milestone. It also comes off the back of successful new business year with the recent Treasury Wine Estates and Seek wins and successful retention of Samsung. Taylor’s appointment is effective January 2015.